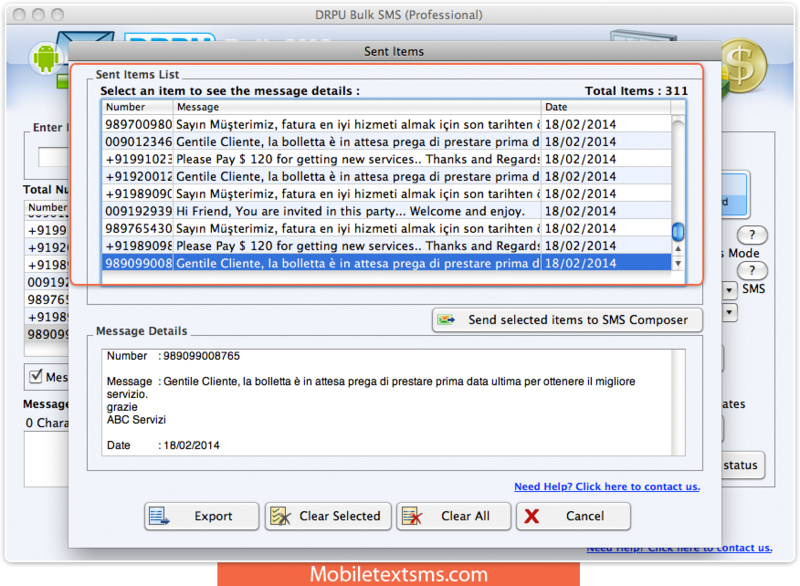 After connection process, load Contact numbers and corresponding messages and click on send button to send text messages. 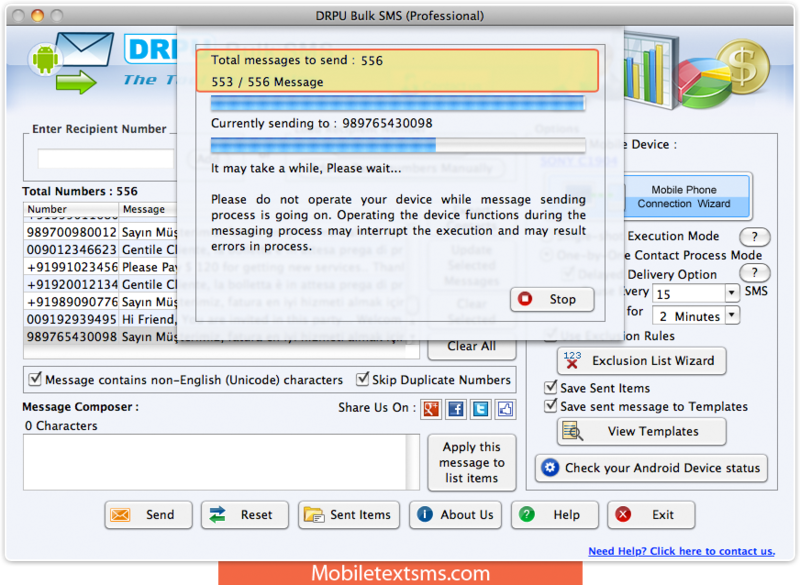 Wizard is showing message sending process. 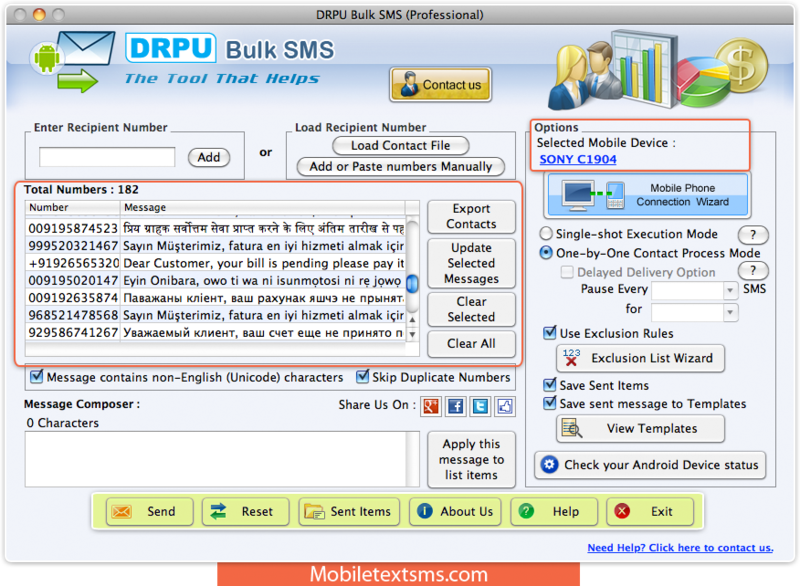 Here, you can see sent item list along with message details. Click on Export option, if you want to export your items.